In this edition of the SA parkrun newsletter, we celebrate four years of parkrun in South Africa, with Delta parkrun the first event in the country leading the party. 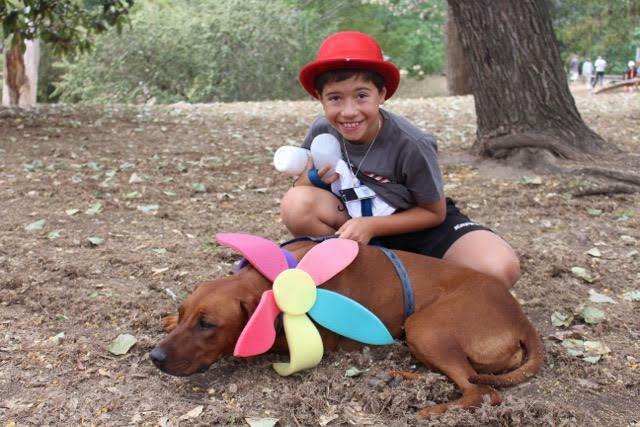 We look forward to the launch of a new parkrun in East London, and look at our parkrunner of the month, Billy de Kock, from Delta parkrun. 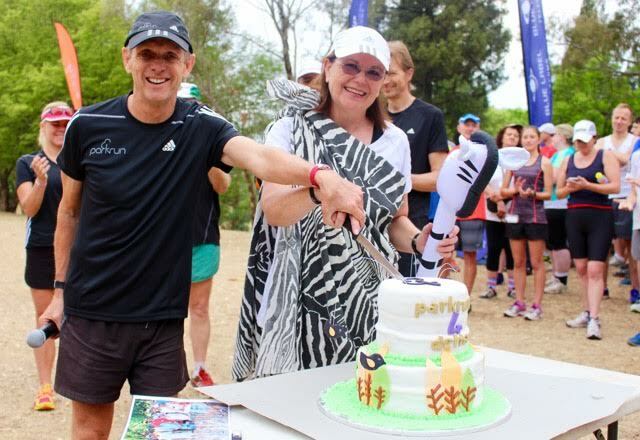 On the 14th of this month we celebrated the 4th birthday of Delta Park parkrun and more importantly the 4th birthday of parkrun South Africa. Over a thousand eager parkrunners gathered to mark the event and to join in the festivities. All our sponsors were present and were acknowledged for their wonderful support for the last 4 years. Blue Label Telecoms, adidas, Discovery/Vitality and Dis-Chem have been much more than sponsors to us. They have been friends. They have been drivers in our tremendous growth which has seen our numbers swell from one parkrun and 26 parkrunners to 69 parkruns and over 300000 registered parkrunners. Some of the original 26 Delta runners were present and these parkrun pioneers were recognised in front of the other runners. (Chris Midlane, Joanne Buchner, “Delta” Dieter Meyer, Robert Huberts and Elton Clothier- Huberts and of course yours truly) Some of the original volunteers were also present and everyone thanked Gill and Cara Fordyce. 6 of the original 26 Delta parkrunners. All 100 clubbers. From left Bruce Fordyce, Chris Midlane. Jo-Anne Buchner, Dieter ‘Delta’ Meyer, Elton Clothier- Huberts &Robert Huberts. Caley and Cara Reynolds had made a spectacular cake and I had the honour of cutting it with event director Gillian Findlay. There were also snacks, drinks and plenty of gifts provided by our sponsors and generous donors. Everyone is aware that we have been having problems with the iconic Nahoon Point parkrun in East London. 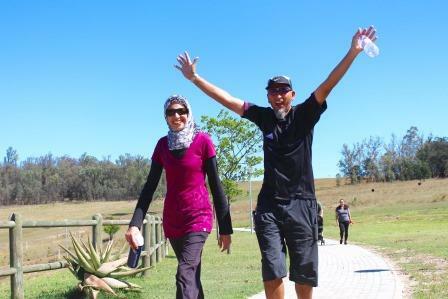 Nahoon Point is close to our heart as it was the 4th parkrun started in South Africa and was our first parkrun outside Johannesburg. Bob Norris and subsequent teams of volunteers have built Nahoon Point parkrun into a vital part of the East London community so we are distressed that it has, temporarily, closed. However negotiations are underway to reopen Nahoon Point, although this will take some time. In the meantime there is good news for East Londoners as a new parkrun is to be opened on the 5th of December at the Three Silos farm. 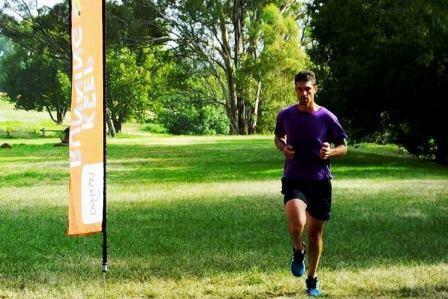 Mark Oberem has generously allowed the parkrun community to run on a 5km route he has mapped out on his property. This route winds its way through forest, over grasslands and past ponds and lakes. 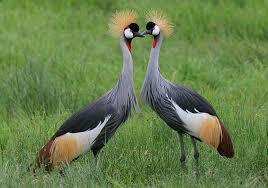 It was nearly named the “Two Cranes” parkrun as two magnificent Crowned Cranes were hunting for prey on an open field at Three Silos when we first arrived. Thanks to the team at head office in the UK (four blokes in a shed with a kettle) and Jane Niven for going that extra mile to process Three Silos as quickly as possible as a result of the problems at Nahoon Point. parkrunners flying to other parkrun destinations or travelling on holiday this month are advised never to pack their Tenbits barcode wristbands in their luggage. We have noticed that the baggage handlers are breaking into bags which are carrying wristbands. We have been told that when these bags are scanned by security the bands show up as watches, hence the large number of break-ins. Please wear your Tenbits wristbands (They do not trigger the metal detectors) or pack them in your carry-on bags. Sign up for Bruce Fordyce’s running club! Still working towards your 2015 health and fitness goals? Join Team Vitality Running for 2016 and get the rest of this year for free – with all the perks. 4. Exclusive access to our VIP hospitality at certain events on our race calendar. 5. A R500 voucher for a pair of headphones. We, the Hartenbos parkrun family, have become very attached to our venue at the ATKV Hartenbos for many reasons including the scenic views of the sea, shipping activities, and seeing whales and dolphins at times whilst parkrunning. Unfortunately, we have to say goodbye to our current venue and embark on a new voyage. The timing of the change in venue coincides with the beginning of the festive season because one of the main reasons for the move was necessitated by the influx of visitors expected from early December. We are understandably not allowed to use the campsite road during the holiday season and this road is essential to make up the 5km as prescribed by the rules of parkrun. The start and finish area is also a prime spot during the holiday season and people erect their gazebos early in the mornings to “claim their space”. The Core Volunteer Team, led by Event Director Werner, considered different venues, taking into consideration not only parkrun rules but also the needs of our participants. Around 35% of our participants are 55 or older. Our oldest participant is 86. We are pleased to confirm that we have found a new “home” for our parkrun. We are indebted to Kleingeluk's owners for allowing us to use their grounds for the route. It is situated off the R328 (Oudtshoorn Road), 5 km away from the current route and is a beautiful working farm. The owners are still in the process of developing the farm and are willing to take our needs as a parkrun into consideration in their plans. Eventually, when the owners’ vision for Kleingeluk has come to fruition, we will be able to run/walk between camps containing wildlife and in some of the existing vineyards. Another benefit of the new route is that it is quite level. The feedback we received from a number of our parkrunners since we announced the anticipated move is very positive. Kleingeluk is situated in a lush environment with beautiful views of the hills surrounding it and eventually, there will be refreshments where the runners may enjoy a post-parkrun coffee. There will also be sufficient, safe parking for all attendees. Although the sea views shall be missed, the new route offers other benefits; we will run in a more country-like environment, not between chalets and along camping-sites and it will be novel to run between game-camps and a small vineyard. On 05 December we start our “Groot Geluk” journey at Kleingeluk and we look forward to many more lovely parkruns for years to come. Find the map and details on our news page. James Sweeney was encouraged to take part in a parkrun by his daughters, who live the United Kingdom and Australia. Mr Sweeney lives on the South Coast of KwaZulu-Natal close to Margate and participates regularly in the Uvongo parkrun. Having fought World War 2 in the skies over Egypt and Italy, it is an honour to have this great man take part in our parkruns. 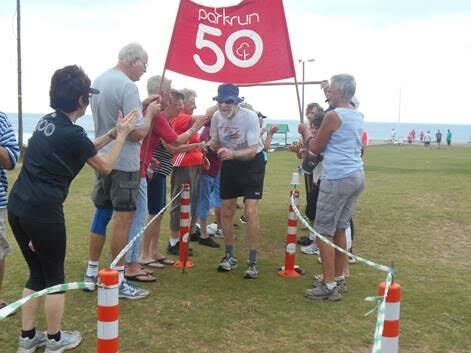 Congratulations to Mr Sweeney for completing his 50th parkrun on Saturday 31st October 2015 at 92 years of age. The community showed true parkrun spirit by making this day a special occasion with post run bubbly. How has parkrun changed your running: It started with a single parkrun and now I am running road races. The half marathon is my favourite distance. What do you like about volunteering at parkrun? : I enjoy the people and the camaraderie. Why should others volunteer at parkrun? : We always need volunteers and they ensure that parkrun can actually take place. What fellow volunteers say about him:: Billy is amazing. Every Saturday he arrives at 7am and within about 10 minutes he has set everything up. Then he goes to help the adidas team with their set-up. He is always amongst the first finishers, so he then gets stuck in with barcode scanning – he has the ability to scan even the most difficult wet or damaged barcodes. He waits until the last runner is in and then he quickly packs everything away and checks that we have left the park clean. Billy is also a spectacular parkrun ambassador, telling everyone he meets about the event and encouraging them to join in the fun. 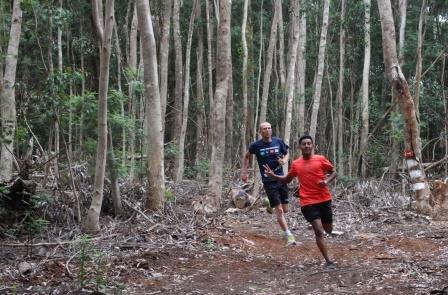 In this edition of the SA parkrun newsletter, we see the launch of two new parkruns at Hermanus and Grey Goose. We look forward to celebrating Delta parkrun, and parkrun SA’s 4th birthday as well as parkruns over the festive period. 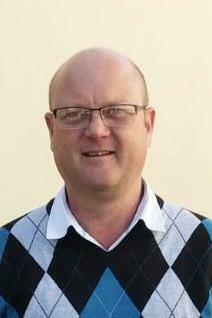 We also celebrate our parkrunner of the month, Fanie Conradie from George parkrun. We can proudly boast of the launch of two new wonderful parkruns this last fortnight. Enthusiasts in Hermanus have been clamouring for a parkrun for many months now and on 31st October we launched the Hermanus parkrun in the Hemel-en-Aarde valley a few kilometres outside the town. A large crowd of enthusiastic first-timers and visitors arrived to run the exciting route devised by Debbie and her team. 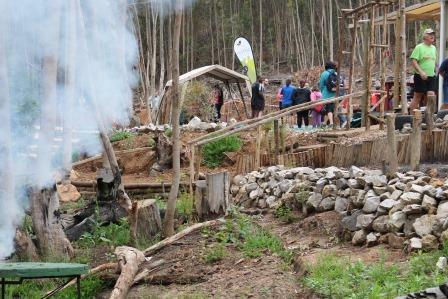 Hermanus parkrun has a wonderful rustic, hillbilly feel to it with forest cabins and wood smoke fires. A singer strummed on his guitar while we ran through gum and indigenous forests, on sand roads and even through the grounds of the local school. 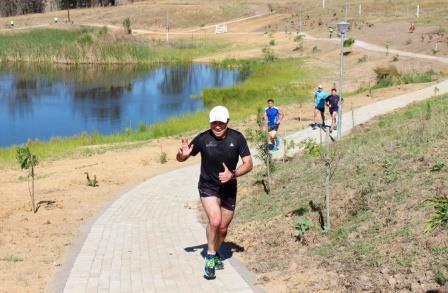 This will be an extremely popular parkrun with visitors and locals alike and to emphasise this point, numbers did not drop at its second running last Saturday, which bucked the trend of most SA parkruns in their first couple of weeks. 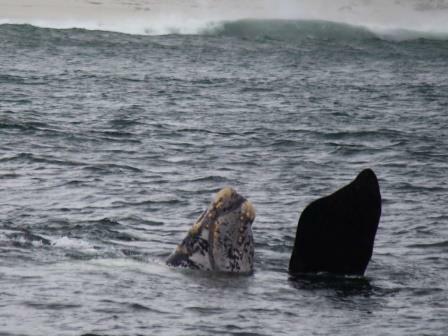 Visitors who are planning to run Hermanus parkrun one day should try to co-ordinate a visit there with whale season. My trip was made extra special the day before when on a hired boat we were able to view these gentle leviathans cruising with their calves in the Hermanus waters. 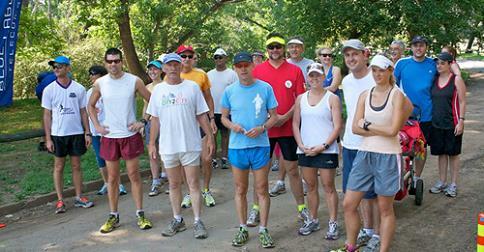 On the 7th November Grey Goose, Newcastle, KZN joined the parkrun family. Like the rest of the country Newcastle is in the grip of a severe drought but that didn’t prevent 112 parkrunners enjoying the paved two lap course around the Grey Goose grounds. Brian Wilson owns the property on which the parkrun is run. He and I have known each other for quite a few years now, when we have collaborated on other projects in Newcastle and I have always known Brian to be a hardworking perfectionist. But he has gone beyond the call of duty at Grey Goose! The entire route is bricked or paved and it circles a lovely dam full of water fowl. Brian has had trees planted along the route and in future years parkrunners will run under a canopy of indigenous trees. Theresa Els and Wonda are the team leaders at Grey Goose and they and Brian are making a wonderful contribution to the greater Newcastle community. By the time the next newsletter is written the holiday season will be almost upon us. Event directors need to be aware of the holiday trends we have observed over the years. For obvious reasons numbers decline (but not by much) at our inland venues but they grow exponentially at our coastal and holiday venues. In some cases parkruns can be as much as double or three times their normal size. Please note that parkruns will still take place on 26th December and please be prepared for large enthusiastic turn-outs. This will also be the case on the 2nd January. It is traditional for some parkruns to offer additional runs on Christmas day and New Year. However this is entirely voluntary and conditional on parkrun volunteer teams deciding to go ahead. No parkrun team must feel obliged to offer these extra runs. Please let us at head office know whether or not your parkrun will be offering these additional runs. We will post a list of parkruns who will be hosting Christmas and New Year parkruns sometime in December. 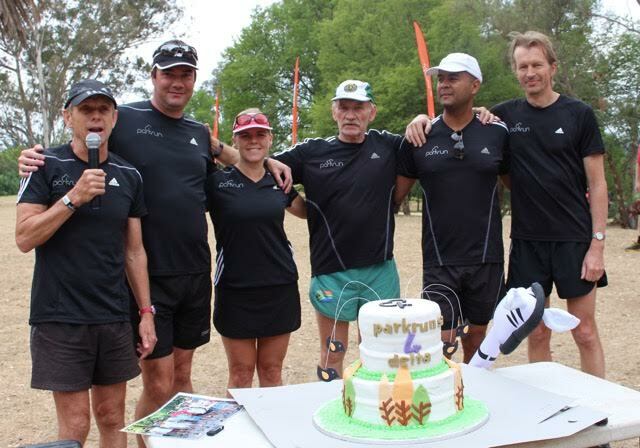 Finally on Saturday we celebrate the 4th birthday of Delta Park parkrun and of parkrun in South Africa. 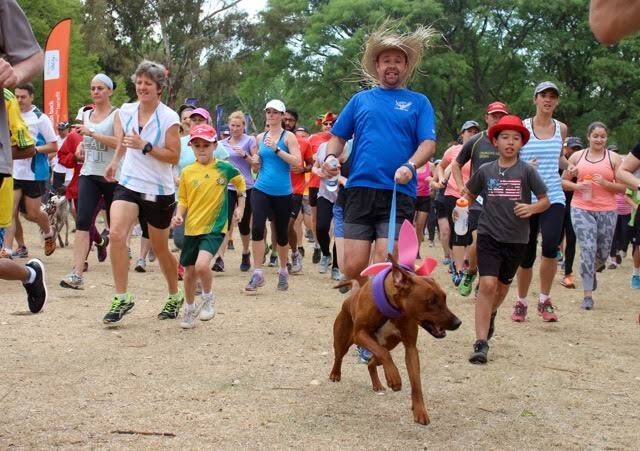 4 years ago we embarked on this astonishing journey when 26 believers lined up to run a lap of Johannesburg’s Delta Park and a handful of volunteers stood by to record their efforts. As I took my first running step that morning I remember thinking “where are we running to and where will this journey take us?” Well 4 years later we can celebrate 69 parkrun venues and by the end of next week 300,000 registered parkrunners in South Africa. It is now possible to use your parkrun barcode to run at venues as far afield as Upington and Uvongo, and Prince Albert and Polokwane. It is possible to explore our wonderful country from North to South, East to West just by visiting parkruns. More importantly, it is a delight to meet the wonderful parkrun folk from all corners of Southern Africa. What is sobering is to realise that this journey is still in its infancy. Where will we be in another 4 years? I would not like to guess but I do know it is going to be a lot of fun. None of this would be possible without our amazingly supportive sponsors. Thank you Blue Label Telecoms (and their chairman Gary Harlow) who believed in us and backed us when we consisted of a motley crew of 26 and a handful of volunteers from one parkrun at Delta Park. Thank you adidas; everyone wants one of your stylish 50 and 100 club shirts. Thank you Discovery Vitality; your support and sponsorship accelerated our growth to becoming the biggest running event in South Africa. And welcome to the team DisChem SA. Celebrate Delta Park’s 4th birthday with Team Vitality! Most memorable or funniest parkrun moment: The time it was pouring with rain and only 16 people pitched up, but they all had a bright smile. What do you like about volunteering at parkrun:: You meet new people and make friends. I enjoy being part of an event involving the community and being in the company of friendly and positive people. I also like to see people improving their fitness. Why should others volunteer at parkrun? : parkrun is a way of getting family and friends together and getting more involved with the community. What his fellow volunteers say about him:: Fanie is a run director and also timekeeper and has been from the start of our parkrun. Out of our 83 events thus far he has been timekeeper for 61. He is our most devoted volunteer and every parkrunner at the George parkrun has crossed the line to see Fanie shouting out their time with a smile. He deserves recognition for his great contribution to the success of George parkrun. Fanie is not a big athlete himself, even though he has walked the route a few times. That makes his volunteering even more special as he has got whole family involved to volunteer on a regular basis alongside him.